ID: 2009 ~ Source: Courtesy of Jeff Littlejohn. Boats traveled along the Trinity River carrying both passengers and goods. 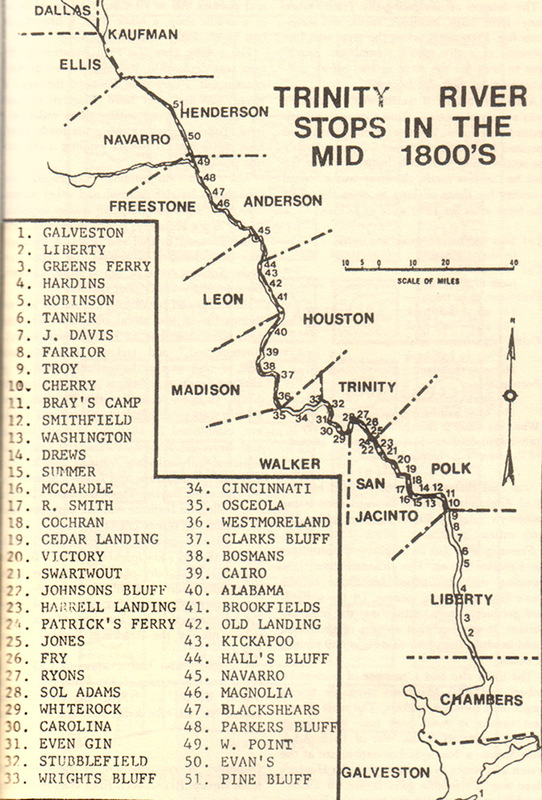 This image shows all of the known stops that were made along the river, including Cincinnati in Walker County (listed as no. 34).